A friend shared a brilliant idea with me the other day! 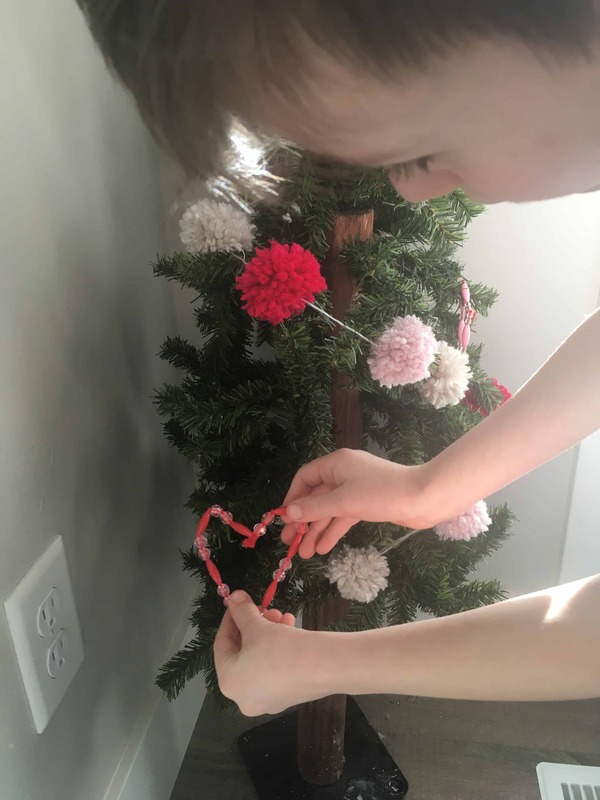 She said she uses a small Christmas tree for Valentines Day; instead of decorating it with Christmas ornaments she has a little box of Valentines decorations that she brings out every February and her kids get to decorate a Valentines Tree. 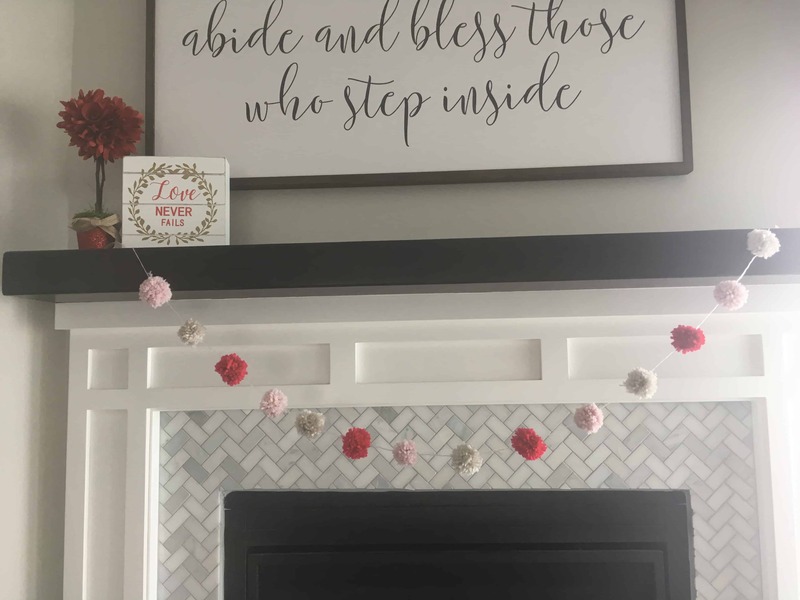 I thought this was such a cute and fun idea, I knew I needed to implement it in my own house! I already had a small tree that I use for Christmas each year, the only problem is that I didn’t have any decorations for the tree….and I did NOT want to buy any. I knew this would be the perfect opportunity to put together a few crafts with my kids. First, we made a few hearts out of beads and pipe cleaners. 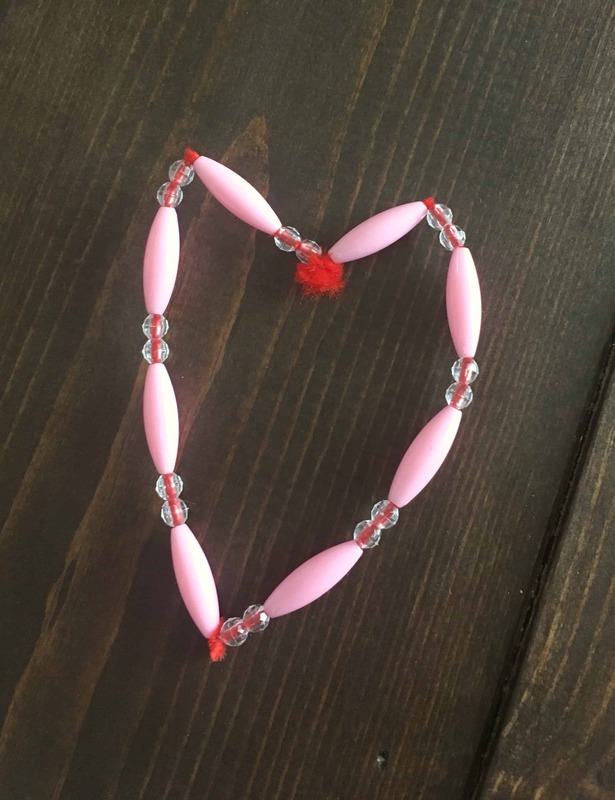 They were so easy, just stick beads on a pipe cleaner and shape it as a heart. Done and done! Next, we made this darling Pom-Pom Garland. I loved it so much and I can’t wait to make more! You can find the tutorial here. And last, but not least, we put together these Yarn Heart Ornaments. They were SO fun to make and easy enough for my 6 year old to join in. I love the projects that all three kids can enjoy together! First, you need some cardboard hearts. 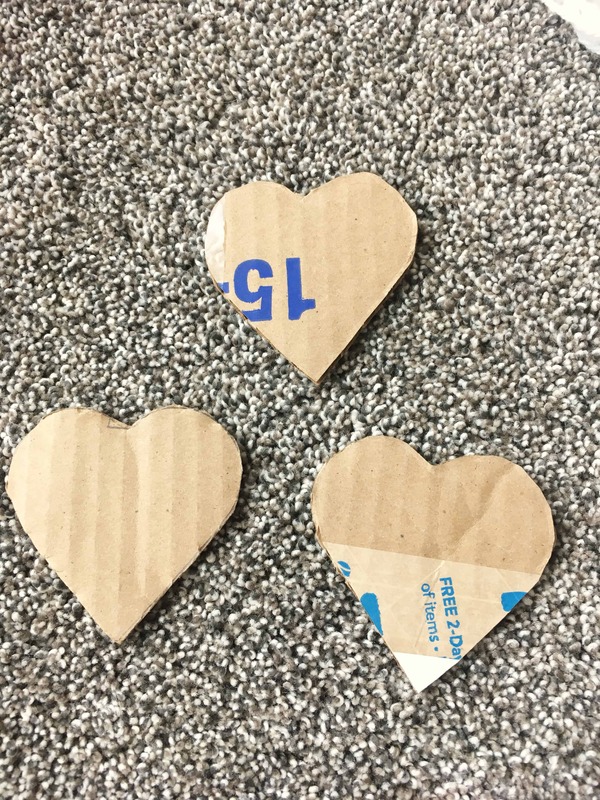 I grabbed a box from my large stash of amazon boxes and cut out a few hearts. Choose your favorite yarn color. Here is one of my favorite yarn brands. 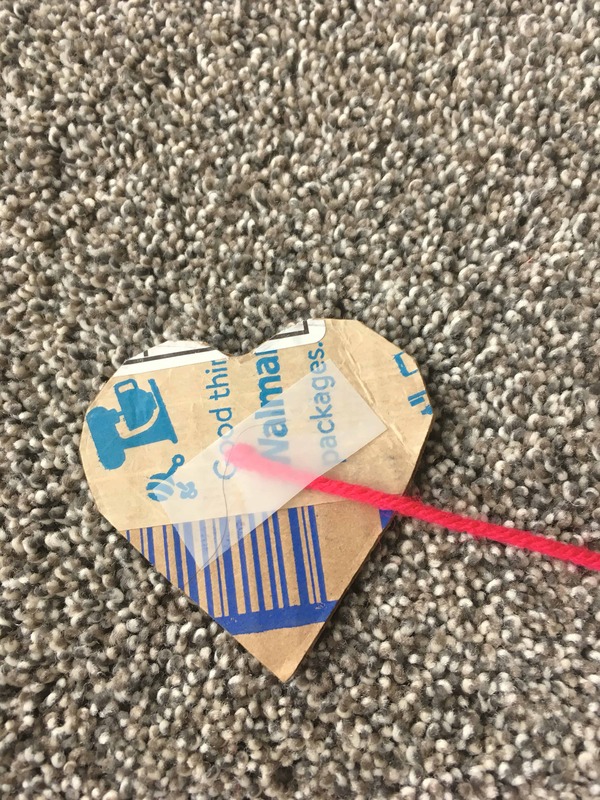 Use a little bit of tape to attach the yarn to the cardboard heart. Now for the fun part. 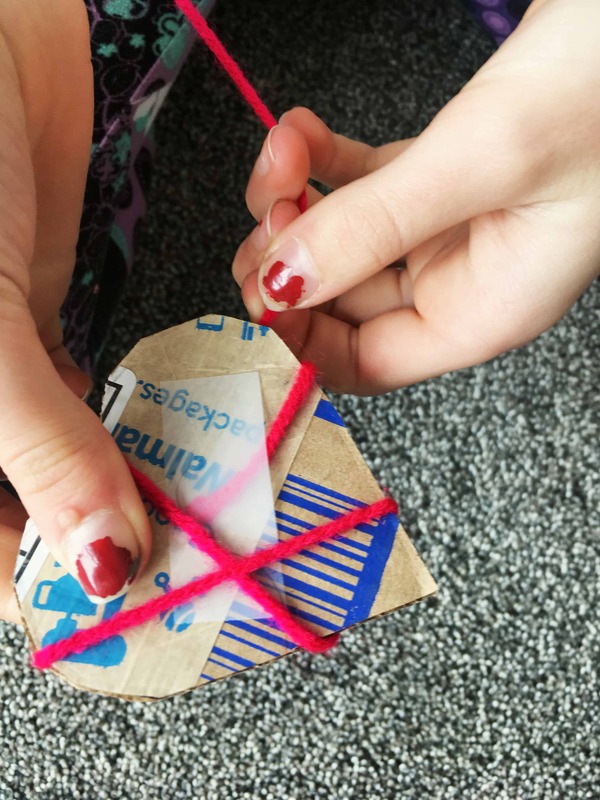 Just start wrapping your yarn around the heart. Try to wrap it in different angles to make the design interesting. It wasn’t easy to get all of the small nooks and crannies, but we kept working it and was able to get the entire heart covered. 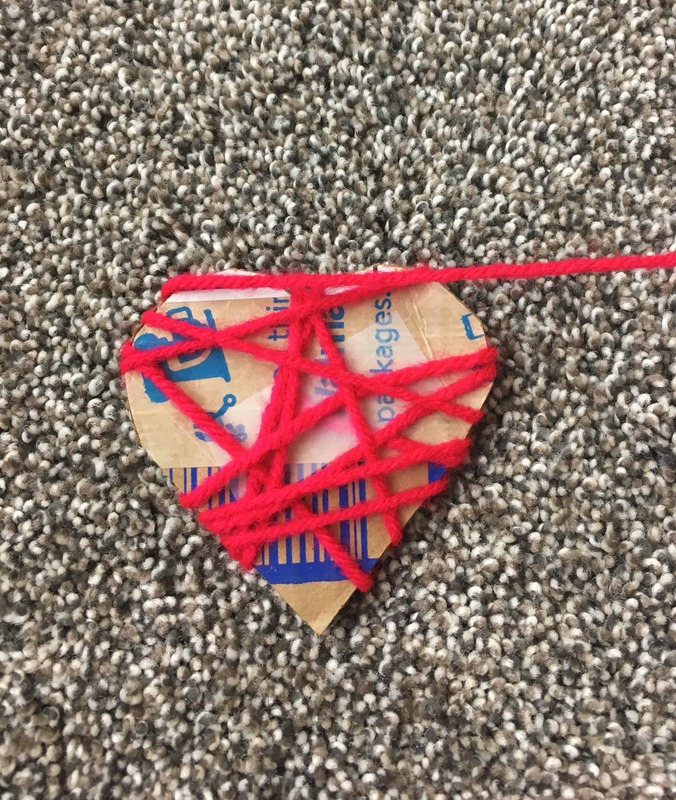 When your cardboard heart is all covered and looks just right tie a small knot and cut off your excess yarn. I tucked the knot underneath some yarn to try to hide it, which seemed to work well! And guess what! You are done! That’s it! 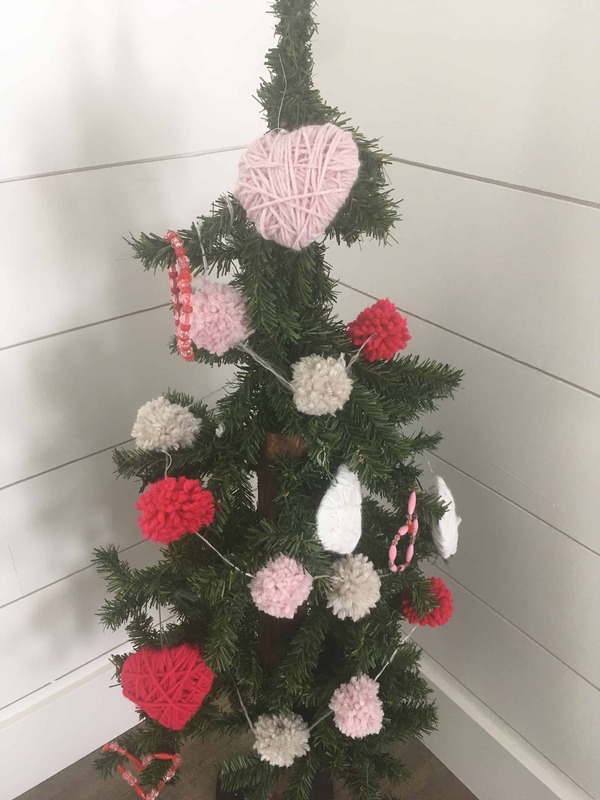 We attached a few ornament hooks through the yarn and hung it up on our Valentines Day Tree. 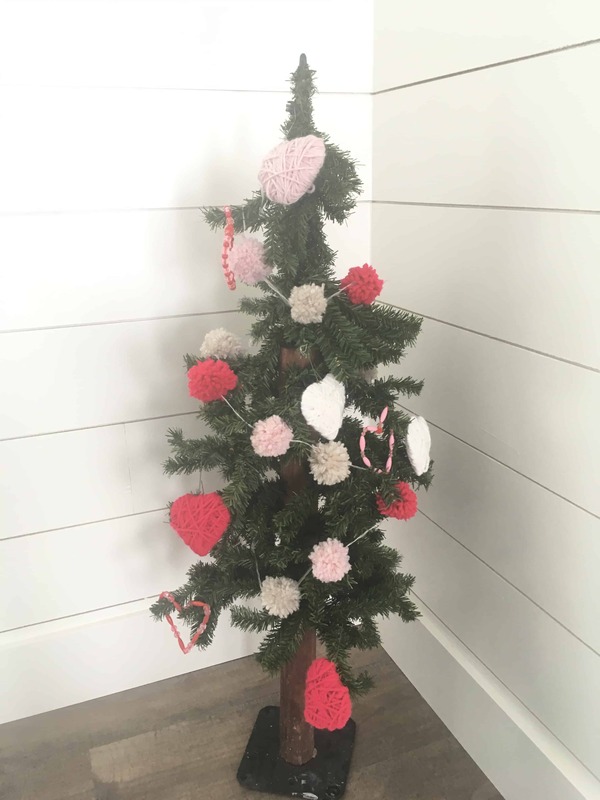 I just love how these crafts and little tree turned out, and what’s even better….my kids love it! They are so proud that they helped make all of the decorations; and seeing my kids happy faces is the best kind of valentine gift I could ever receive! 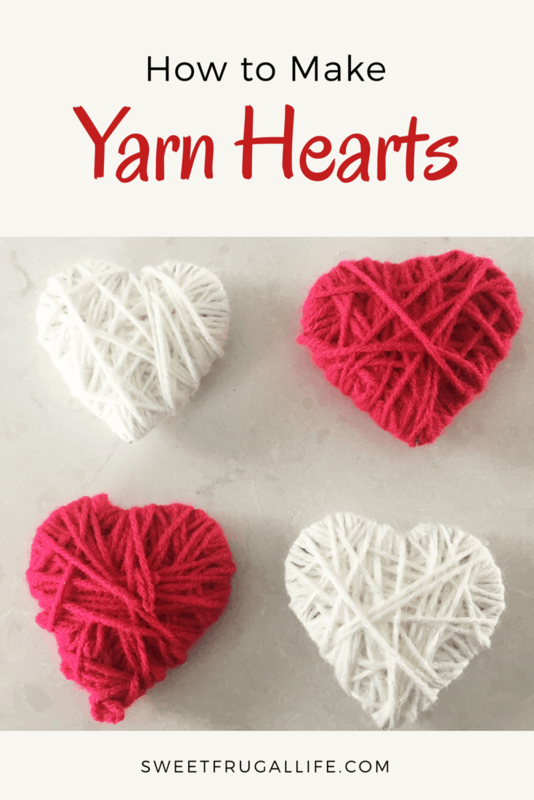 I love those yarn hearts, I miss my 4 being little and all these kinds of crafts. I decorate the “Christmas” tree now for Halloween as well as Christmas. Valentines décor has faded over the years too. I love the idea of a Halloween tree! It is so fun to get to do the cute kid crafts!